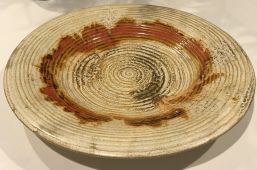 454 (Early Series) Very large shallow bowl. Only one size is recorded numbered but the use of a size suffix suggests that other sizes may have existed. A smaller size is recorded but un-numbered. Un-numbered. Similar shape but smaller. 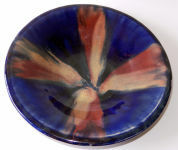 Dimensions; height 4cm, diameter 21 cm. 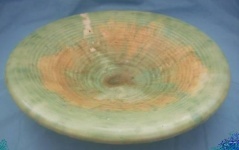 Dimensions; height 6 cm, diameter 27 cm.